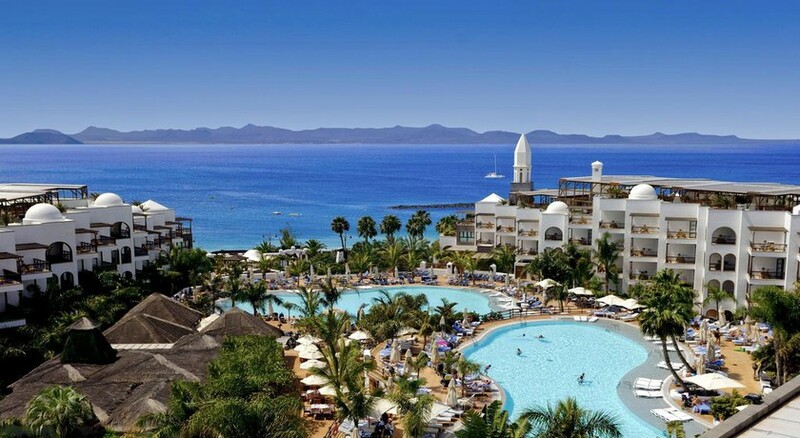 Finished in a neo-colonial style, the Princesa Yaiza Suite Hotel Resort overlooks the golden sandy beach of Playa Dorada. Set amidst stunning surroundings, the luxury hotel is just a short walk away from a host of shops, restaurants and bars. The hotel is ideal for a great summer vacation with an outdoor swimming pool and magnificent views of the sun, sand and the sea. The guests of the hotel can enjoy at the refreshing Thalasso & Spa Centre, equipped with an indoor thermal pool, a sauna, Turkish baths and a range of beauty and wellness treatments. The hotel also treats its guests with five elegant à-la-carte restaurants, three buffet restaurants and a selection of bars, where one could enjoy drinks along with some beautiful live music. 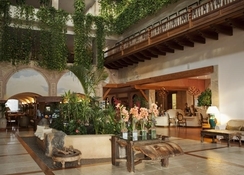 The Princesa Yaiza Suite Hotel Resort is a 10-minute walk away from Nuestra Senora del Carmen Square and Dorada Beach. This resort, which is quite close to an avenue lined with shops, restaurants and bars, boasts breath-taking panoramic views. Guests could also visit Marina Rubicon and Las Coloradas Castle, both of which are situated just 2km from the resort. The Lanzarote Airport is about 28km from the resort. The Princesa Yaiza Suite Hotel Resort has luxurious rooms and suites to accommodate solo travellers, couples, families and group of friends. 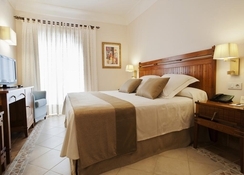 They come in twelve categories namely Double Superior, Double Superior Relax, Junior Suite Sea View, Suite, Accessible Suite, Suite Excellence, Duplex, Family Suite, Royal Kiko Suite, Connecting Rooms, Presidential Suite and Royal Suite. All the rooms are loaded with modern amenities such as free Wi-Fi facilities, LCD TVs with satellite channels, small kitchenettes enabled with refrigerators and microwaves, generous bathrooms with bathrobes and slippers, 24-hour room service, minibars and much more. The rooms are accompanied by a balcony or a terrace, where the guests can enjoy picturesque beauty of the surroundings. Guests could opt for balconies or patios overlooking the hotel pool, the garden or the sea. With a wealth of impressive choice of Mexican, Italian, Japanese and gourmet Spanish cuisines, the restaurants at Princesa Yaiza Suite Resort capture the essence of the country on which they have been themed. There are five a la carte restaurants and three buffet restaurants, including Isla De Lobos, Kampai, Don Giovanni, Chiringuito, Tapas, Yaiza, La Piazzetta and La Hacienda. At the restaurants, guests can choose from the lavish buffet, while complimentary minibar and tea & coffee making facilities can be availed by those who choose Half Board Deluxe. The six bars in the hotel are one of the best things to see while indulging in refreshing mocktails and cocktails. They are specifically designed, so that you can have your favourite drinks while having a pleasurable conversation, reading a newspaper or simply taking a break from the fun-filled activities. The Princesa Yaiza Suite Hotel Resort makes sure to spoil its guests with a plethora of tempting choices, ranging from wellness centres to sports courts, to various entertainment hubs. The hotel accommodates a state-of-the-art gym for those who want to maintain their fitness level. The Thalasso and Spa Centre is the best place to be for getting completely rejuvenated, it boasts 50 types of massages and facial treatments-plus hydrotherapy for ultimate relaxation. Soak up the Spanish sun, while taking a relaxing swim in the outdoor swimming pool. Evenings can be spent relaxing at any of the bars, which put on shows or live music to entertain the guests.